Dreamworld have now almost same candy board to normal candy crush saga and this candy board have 26 jellies and 10 meringue blocks. To complete this level within 25 moves you should try to break first all meringue blocks so it will give chance to play with more candies and can break all jellies. 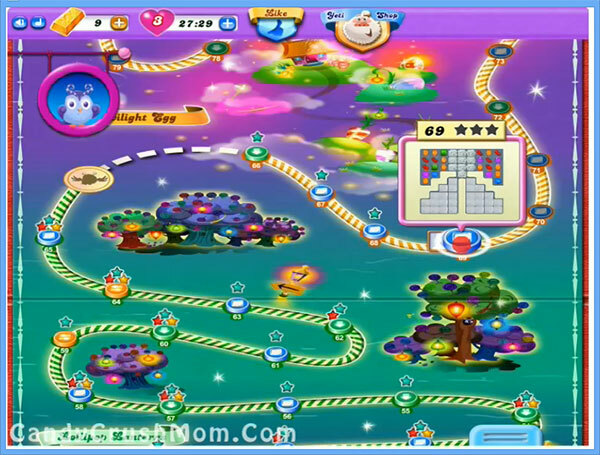 You should try to make special candies as moon will struck and try to combine with other special candies. You shouldn’t forget to balance the Owl as it could waste your good scoring level. We complete this level with 126560 score and got single colorbomb that help to break all jellies within just 19 moves and rest moves converted to fish booster.